Students will be expected to learn mathematical concepts by using manipulatives as well as a pen and paper; they will be working from simple ideas to complex ideas, from concrete to abstract ideas. 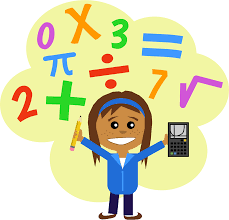 At the end of the year the students should have developed a positive attitude, recognize the importance of math in everyday life, be able to develop solutions and solve mathematical problems. · Shape and Space – use direct and indirect measurement to solve problems; describe the characteristics of 3-D objects and 2-D shapes and analyze the relationships among them; describe and analyze position and motion of objects and shapes. · Statistics and Probability – Collect, display and analyze data to solve problems; use experimental or theoretical probabilities to represent and solve problems involving uncertainty.